WWDC (Worldwide Developers Conference) is Apple’s largest event each year which is held in San Francisco and is aimed at developers. 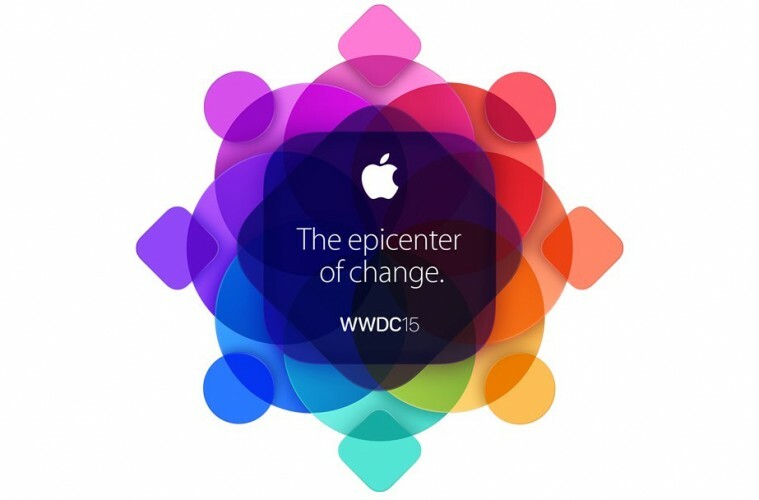 As a result, the keynote on Monday focuses on new software such as the next version of iOS 9, OS X and so on. I am a big fan of Apple products as many people will know so here are the top four things on my WWDC 2015 wish list. Each year at WWDC the next major version of iOS is revealed and then usually arrives around October to the public. iOS 7 was the major UI overhaul, iOS 8 last year built on what iOS 7 had set in place, so what would I like to see in the upcoming iPhone software? Well for starters I would like to see greater stability. When iOS 8 launched to the public last year it suffered from stability issues which was frustrating considering the intensive beta programmes that the new versions of iOS go through during the summer. I also want to see Apple build on what was introduced last year, improvements to continuity and a complete makeover for Siri. Personally I find Siri pretty useless and I very rarely actually use Siri for anything, however back when I had an Android device I was intrigued when Google Now was launched and it is the one thing I miss off Android. According to reports behind the scene we are going to get a big overhaul to Siri. A new search system is being rumoured which is codenamed “Proactive” which could be competition to Google Now and will have the ability to deliver information via prediction. An even bigger stretch for me (something I don’t believe will happen) would be to see Apple do something with the homescreen. I don’t deny it, I love my iPhone 6 Plus however rows of icons are boring, it is what we have had since the very first icon and my heart says that its time to change it up. Bring live complications from the Apple watch to the iPhone as well. My head says that it won’t happen. I would like to see Apple expand on the new Photos app big time. Introduce more powerful editing tools for users, after all they did dump Aperture for this. Apart from that, we had the big overhaul of OS X last year so this year I am hoping to see stability and refinements. I don’t think they will introduce too much into the next version of OS X and it could be more work under the system than the UI itself. I also want to see something done about iTunes, but I am dedicating that to a specific section of this article. Apple’s venture into music is getting a big sloppy to be honest, iTunes, iTunes Radio, Beats, iTunes Match, iTunes Cloud. It is a bit all over the place, Apple does a great job of creating an ecosystem between devices however they are failing to create an efficient ecosystem around music. I would like to see them ditch the whole iTunes programme and introduce something new which works efficiently. It is a safe bet that music is going to feature in the keynote, the latest iOS 8.4 beta has a completely new and redesigned music player. However I would also like to see an international streaming music service and improvements to how Apple handles its music services in general at the moment. I have not received my Apple Watch yet (due to be delivered tomorrow morning) however WatchKit is due to be unveiled at WWDC which is exciting as it is opening the WatchOS to third party developers. While I can’t comment much on the Apple Watch until I get a chance to use it there is one thing that I know I want already, native apps. At the moment all the resources for apps on the watch come from your phone via bluetooth which means that can be slow sometimes when loading. Apple has said that native third party apps will be coming so at least there are planned improvements on that front in the pipeline. Should it have been that way from the start? Yes. What will we not see? WWDC is all about the software, its for the developers and as a result don’t expect to see much hardware, or possibly any hardware at all. There won’t be a new iPhone announcement, that will come later in the year and the only hardware mention we may get is possibly updates to the current line. We were expecting an Apple TV announcement at the keynote and it is time for a new Apple TV for sure. Reports indicated that it would include a new redesigned Apple TV box with app functionality and Siri voice search. However it appears that the announcement may have been scrapped possibly due to the fact that the Apple TV is just not ready for prime time yet. If we don’t hear news on the Apple TV at the event then no doubt there will be further announcements down the line. I plan on sitting back and enjoying the keynote this year for a change so I won’t be live blogging the event however I will be tweeting about it and you can follow along on Twitter, @TheMarkDalton. You can watch the keynote for yourself here. It starts at 18:00 BST.